The Aura is the newest model to the stressless Original collection, it combines tall comfort with modern looks. From the moment you sit down this model has a hugging effect on the body. The simple and elegant design combined with the enveloping back and seat cushions provides an exciting and eye catching look. This recliner is available in three different sizes, small, medium and large. Featuring Balance Adapt technology allowing for soft comfortable rocking movements. Matching footstool with built in glide function provides ultimate reclined position. The Stressless Plus system offers synchronised neck and lumbar support adjustment. Available in three different grades of luxurious leathers, a variety of fabrics and 8 different wood finishes. 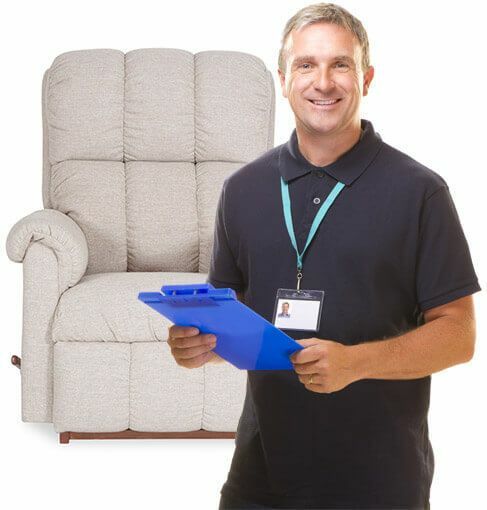 Signature elevator kit available, providing an additional 3cm of height to chair or stool if required. 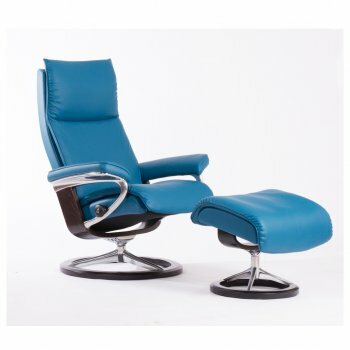 Stressless 10 year guarantee on the internal mechanism.